The Washington Post will be the first content partner to provide breaking news updates throughout the day on Snapchat Discover. How is this different? The Post will be the first publisher to update its Snapchat content multiple times per day, vs. other news providers that publish once or twice per day. The paper says it's building out a separate team to manage the new product, which will include video and motion graphics experts. 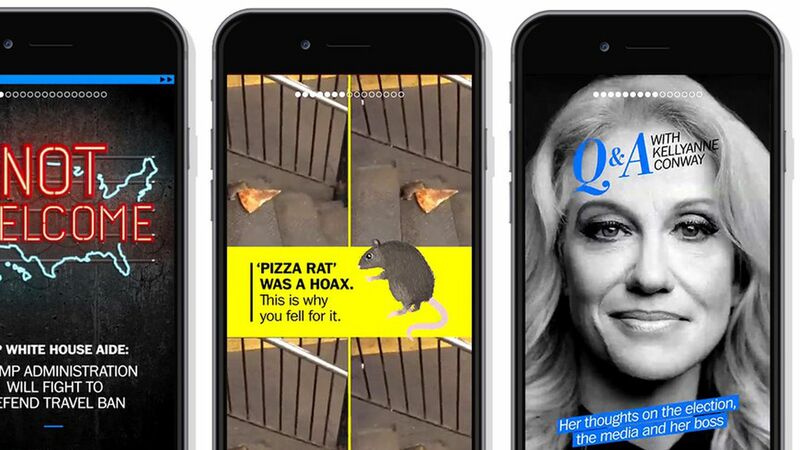 For Snapchat, the Post deal adds a new angle to the Discover platform, which typically features more soft-news and lifestyle content. It also lays the groundwork for Snapchat to pursue long-form content deals with news partners in the future. In paperwork filed ahead of its IPO last week, Snapchat said content partnerships are largely what keeps users engaged for up to 25-30 minutes per day. For the Post, it's another platform for its emerging news products team that's also developed content for Facebook Instant Articles and Apple News. The Post's Managing Editor Emilio Garcia-Ruiz tells Axios that the focus is not to extend their millennial reach, but to experiment with alternative storytelling techniques. "This is the way communication is going," Garcia-Ruiz says. Director of Emerging News Products Chris Meighan says "The Post's mantra is to get on platforms and see how it plays out over a period of time."